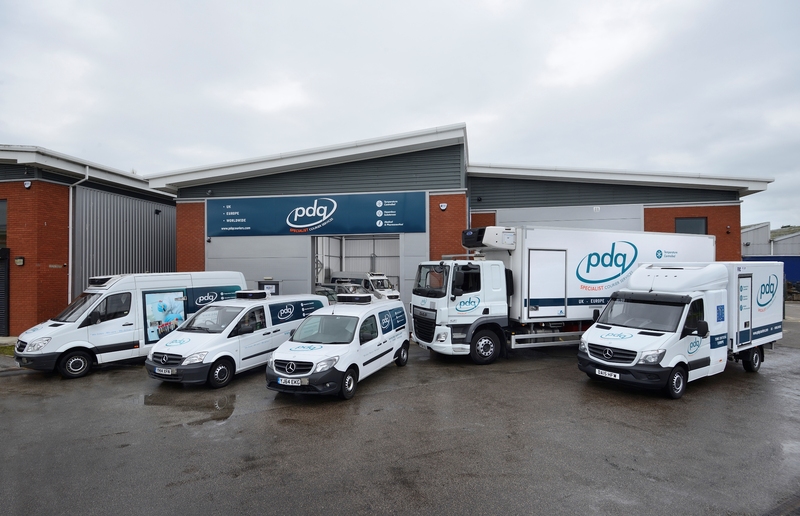 Here at PDQ Specialist Courier Services, we’re defined by the quality range of bespoke temperature-controlled courieroptions we provide, including the variety of refrigerated courier transports we offer to our clients. With our wealth of experience, we have a deep appreciation for how important it is that when transporting sensitive refrigerated items, you’re able to find a refrigerated courier service you can rely on. We have worked with hundreds of clients across the medical, pharmaceutical, hazardous and scientific research sectors. We are specialists in providing rapid and safe transports, making us an industry-leading refrigerated courier service. We’ve been enlisted as a refrigerated courier for a selection of notable clients across both the public and private sector, with our reputation as a respected courier allowing us to secure ongoing contracts with renowned organisations such as the NHS, the British Heart Foundation and a number of multi-national companies. We do this by maintaining the highest standards of quality, security and reliability in all of the refrigerated courier services we provide. Through the duration of our time as specialist refrigerated couriers, we’ve made it a priority to offer clear traceability throughout the course of each transit. Each and every client who utilises our refrigerated transports is able to check on the minute-by-minute location and exact temperature levels of their refrigerated consignments. Whatever its point of transit, you’ll be able to monitor these key details through our unique client portal, offering you added peace of mind and allowing you to plan for the transit’s arrival. Given the sensitivity of each refrigerated transport and the high value they hold to our clients, we continually provide the best in terms of reliability, transparency and rapid delivery. We make use of the UKAS ISO 9001:2015 Quality Management System to ensure the ultimate efficiency in our work, whilst each of our van drivers have received expert training and possess up-to-date certification in both ADR and GDP. Our fleet of vans are regularly maintained and covered to travel around Europe, and we also follow all MHRA guidance. We appreciate that many temperature-controlled transports are time-sensitive, so all of our refrigerated courier services are offered with contingency capacity across our fleet of vans so that we can offer our delivery options even at short notice. 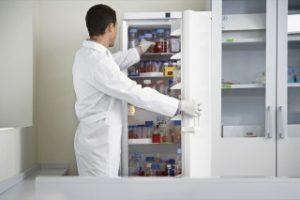 Here at PDQ, the level to which we train our drivers means that they’re qualified to transport a range of hazardous pathology samples, pharmaceuticals and radioactive materials, all of them refrigerated to your ideal temperature. From the day we were established, we’ve sought to maintain the highest standards of safety and precision in every temperature-controlled transport. The range of refrigerated courier services we offer around the UK and Europe is unrivalled. This track record for excellent reliability, alongside the competence of our drivers and vehicles, as well as your invitation to monitor your goods’ temperature and location during delivery, offers full confidence in every refrigerated courier service we undertake. Furthermore, all of our vans are equipped with a host of safety features, protecting your transit even in unplanned complications. Emergency locks and a system of alarms are just a couple of the safety features we employ. Particularly helpful for anyone looking to transport several items via our refrigerated courier services is that we can offer transport for multiple different items in the same delivery, each at different specific temperature levels that are maintained throughout transit. This further showcases our standing as a leading refrigerated courier service, so feel free to browse our website to view the many sectors we offer specialist refrigerated courier options for. If you’d like to know more about how PDQ Specialist Couriers could be the solution for your refrigerated courier needs, whether in the UK or across Europe, then please contact us today. We’re available by phone, email, or via the innovative web chat option on our website. All of our refrigerated couriers services will off you rapid, reliable and precise delivery.